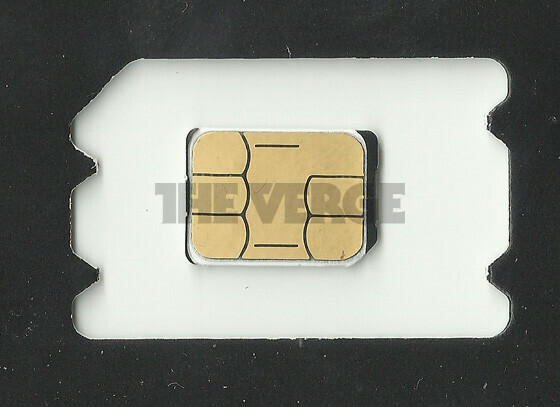 Apple is trying to outmaneuver Nokia, RIM, Motorola and others, and introduce its own design for the next generation of SIM cards. It is signing up subsidiaries with voting rights to overturn Nokia's majority in the crucial period before the ETSI board votes in favor of a nano-SIM standard. The rest of the industry was hesitant that Apple will try and impose licencing fees on its mechanism, but Cupertino offered it all for free. 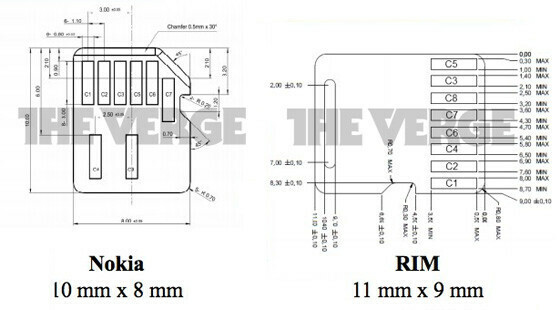 Apple's tray-loading proposal basically strips the plastic from the current micro-SIM cards that are in the iPhone 4/4S, but Nokia is concerned that the remaining part has the same length as the width of the current slots, so users might try and jam the cards sideways. Nokia's design, on the other hand, has notches cut in it, which can allow it to latch into place like a microSD card. The vote is scheduled this week by ETSI in Southern France, and we can't wait to see who will win. The European carriers are all backing Apple's tray-loading standard, so it's going to be a rough fight for the nano-prize. I don't care about this... I just want bigger batteries!!! And I don't really mind my phone to be a little thicker, because I feel much more secure while holding it. Well I hope Apple better not mess with Nokia, as they will indirectly get Microsoft attention. Both companies are busy with the development of windows phones. Even though I'm admittedly biased, Nokia's design makes the most sense. It's the smallest, but also the most clever, as it has no way of being installed wrongly, and also places to grab it so it's less likely to slip out of one's fingers. Remember that Intel commercial where they dropped a chip and they had magnifying glasses out trying to find it? Let's keep user-replaceable items like SIMs no smaller than these "nano" size ones. Nokia's design has the upper hand here. Smaller, and more versatile (no need for trays, but can be used with one if a manufacturer opts for it). 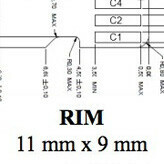 AM I the only one who doesn't understand why they need to have a nano-SIM? What's wrong with Micro Sim cards? Because smaller is better....duh. At least that's what Tim Cook taught his wife to think. "See honey... 3.5" is the perfect size... Anything bigger than 3.5" is too big... Right?" lol.